The path to human rights in Ghana has been a tortuous one. We sought political Independence only to be enslaved by our own elected government, headed by Kwame Nkrumah. The high hopes and aspirations of Ghanaians were steadily eroded by the Nkrumah regime. “Kwame Nkrumah and his Convention People’s Party (CPP) came and demanded ‘self-government now.’ When he got it, he introduced very many worthy projects and in fact, he was ideologically so resourceful that most of the projects Ghana is now pursuing were all on his drawing board…..
“But in the course of his great work for Ghana, he just disregarded the main reason why he was Head of State in the first place. He was Head of State to bring a measure of peace, love, abundance and security to Ghana. While he sought abundance, he forgot about human rights, the dignity of the human person; he forgot about the security of the Ghanaian; he became a tyrant. Anybody who did not believe in his ideas or opposed them was an enemy. The security that he was supposed to give to his people became a charade. He had no idea of integrity. People were oppressed; people were imprisoned because they did not follow him blindly. “The amazing thing is that politically Kwame Nkrumah had no reason whatsoever to doubt the fidelity of the majority of the people of Ghana. He had manouvred to a point where he would have won all elections but, no, he wanted 100% support. He could not stand any opposition. The opposition became his enemy. This is not politics; this is lack of integrity; it is a lie. We may briefly recall some of the events which prompted such an observation by His Grace. It started with a series of repressive legislation. The years immediately following Independence saw the progressive, and even dramatic, erosion of personal rights and personal liberty in Ghana. This was traumatic for the citizenry because of legitimate expectations of freedom upon the end of colonialism. The agitation for Independence proceeded upon the declared objective of greater and not less freedom for the people. This philosophy was embodied in the national motto of AFreedom and Justice. @ However, the government of Prime Minister Kwame Nkrumah made it clear that he did not believe in personal liberty or in the promotion of civil or political rights. He was committed to socialism based on Acentralism,@ with the interests and rights of the individual subjugated to the public interest which, to him, meant the overriding interest of his governing party and his undisguised self-aggrandizement. As a result, even the elementary freedoms and rights conceded to the people by the colonial authorities were whittled away and soon emasculated. Basic rights like freedom of speech, freedom of the press, freedom of association, freedom from arbitrary arrest, and the right of access to the courts, were regarded as bourgeois luxuries which the citizens of the new nation could ill-afford. These, however, were rights which the people had enjoyed under colonialism and which some citizens, even in those difficult days, were prepared to risk their liberty and their lives to proclaim. Many were to die unsung in prison, without a charge, and without access to the courts, merely for insisting on those rights. Like other dictators in history, Nkrumah used the law, enacted by him, as the instrument of repression. Therefore, everything done by him and his government was perfectly legal or appeared to be so. Accordingly, even if Ghana had an independent judiciary, which it did not, the actions could not be invalidated, unless the courts were prepared to declare any of the enabling statutes to be unconstitutional. In pursuit of a grand design, the Nkrumah government, soon after Independence, quickly enacted one repressive legislation after another, to intimidate and muzzle the people. These included the Deportation Act, the Avoidance of Discrimination Act and the Preventive Detention Act, among others. The list is too long. The first piece of legislation was the Deportation Act, 1957. On the face of it, this was an innocuous law, a type usually found in practically all nations. The Act authorised the deportation from Ghana of any alien whose presence was Anot conducive to the public good,@ whatever that expression means. Section 3(1) of the Act explicitly made the exception that Ano citizen of Ghana shall be liable to deportation under this Act. @ This provision, however, did not prevent the Nkrumah government from deporting even Ghanaians. For instance, in Balogun & 3 others v. Edusei, the defendant Minister issued deportation orders against the applicants, Balogun and three others. All four of them claimed to be citizens of Ghana and, therefore, not liable to deportation by virtue of section 3(1) of the Deportation Act. When arrangements nevertheless proceeded for their deportation, the four sought an interim injunction against the Minister and the Commissioner of Police, to delay their intended deportation until the decision in their separate suit for a declaratory judgment that they were Ghanaian citizens. With notice of these proceedings, the government nevertheless deported the applicants in violation of the law and in defiance and contempt of the court. The court thereupon held the Minister of the Interior and the Commissioner of Police in contempt. The court, however, adjourned the case, presumably for the contemnors to take counsel. Usually the Minister and the Commissioner of Police could have purged their contempt by expressing regret and apologising to the court. That, in Nkrumah=s view, however, would be infra dignitatem. There could be no challenge to the power, authority or prestige of the government. The next day, being Christmas Eve, December 24, 1958, Parliament was summoned in an emergency session. Under a Certificate of Urgency, an Indemnity Act was introduced and taken through all stages in Parliament. The Governor-General assented to it and it became law the same day. As the Indemnity Act indemnified the Minister and the Commissioner of Police, there could be no sanction for the contempt. If there were a second House of Parliament, perhaps such hasty, ad hoc legislation would have been a little more difficult to rush through the legislative process. The sequel to this case is that, after their deportation to Nigeria, the separate action for declaration of citizenship of the deportees was pursued on their behalf by Counsel. The court found that upon the preponderance of the evidence, all the four deportees were citizens of Ghana and thus immune from deportation under section 3(1) of the Deportation Act. Their deportation was, therefore, as a matter of law unlawful. Nevertheless, it was no more than a pyrrhic victory. The deported Ghanaians were never permitted to re-enter Ghana, the land of their birth and of their nationality, in spite of the decision of the court. In yet another case, Lardan v. Attorney-General (No.2), two deportees also claimed to be citizens of Ghana who could not be deported under the Deportation Act, 1957. They sought a court order to quash their deportation orders after they had been taken into custody preparatory to being taken out of the country. Rather than prove that the two men were aliens, the government rushed through Parliament a special legislation to deport them, the exception in section 3(1) of the Deportation Act notwithstanding. The Deportation (Othman Lardan and Amadu Baba) Act, 1957, authorised their deportation, regardless of citizenship, and declared that Aany proceedings in any court [challenging their deportation] shall be automatically determined. @ These two persons who made a bona fide allegation of citizenship were nevertheless deported from their country of nationality. There were many such cases, which did not make it to the courts or the law reports. In one well-publicised case, some Ewe citizens, from the Volta Region of Ghana, claimed immunity from deportation because of their Ghanaian citizenship. Without formality they were taken to the Ghana-Togo border and expelled to Togo, because the Ghana Government claimed that they were Togolese citizens. The Ewe as an ethnic group are found in both the south-eastern corner of Ghana and the entire southern section of Togo. The Togo authorities, however, refused to allow the deportees to enter Togo because they claimed to be not Togolese citizens, and because the Ghana government produced no proof that they were Togolese. After a period in a no-man=s land, they were returned to Ghana and incarcerated in the prison at Keta. They languished in that prison until some of them died. 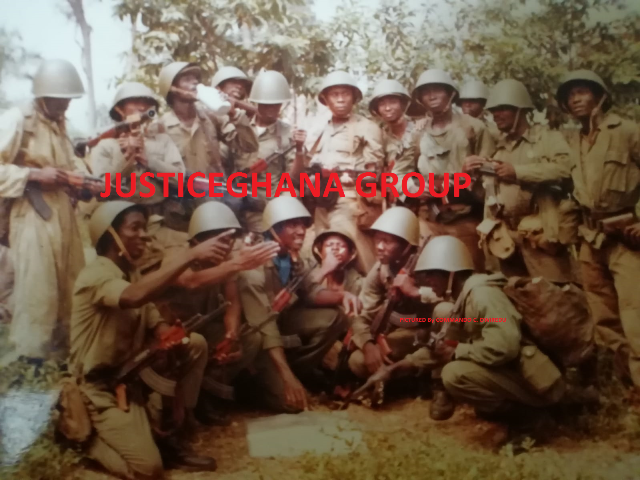 The survivors were only freed after the coup d=etat of 1966 which toppled the Nkrumah regime. The climate created by the spate of deportations produced genuine fears among the populace, as was intended by the Government. Citizens no longer felt secure in their homes or in the land of their birth. Their citizenship notwithstanding, they knew that they could be deported to foreign lands if they did not support the party in power. Following these repressive measures came the law which empowered Kwame Nkrumah to imprison his political opponents and other innocent Ghanaians without trial.